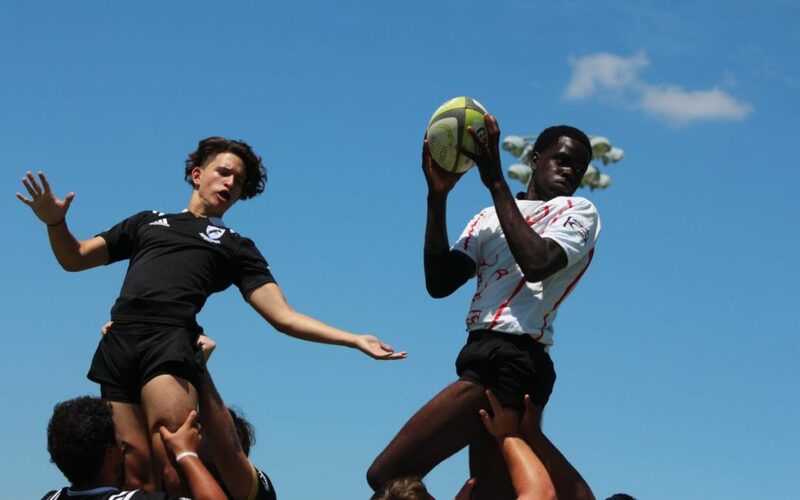 Please check out this link for The Bahamas Weekly coverage of our recent youth rugby trip to Florida. Safe to say, the boys brought the heat to The Sunshine State! 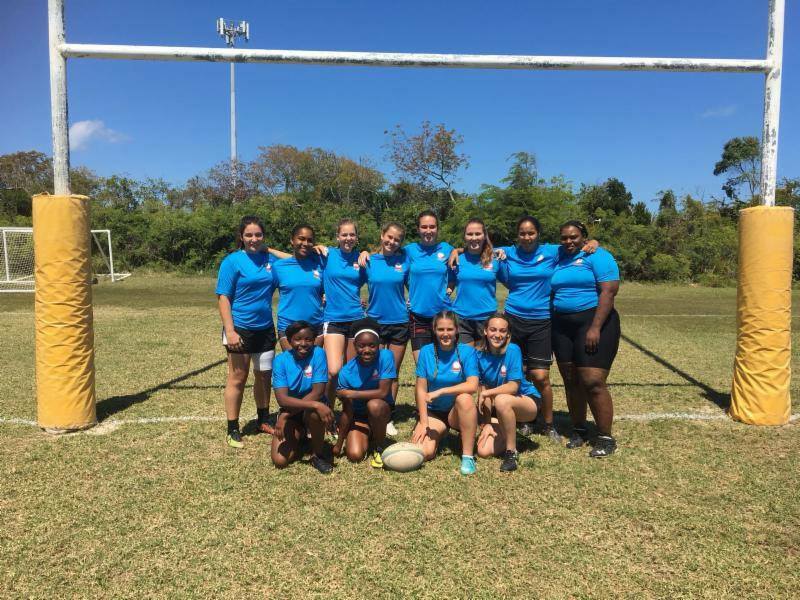 After months of fitness and skill preparation, the first Freeport girls’ rugby team finally got a chance to show off their skills in the Nassau Women’s Sevens Tournament on Saturday, March 17. Despite a significant gap in age and experience, Freeport surpassed expectations and impressed both coaches and spectators with their heart, hustle and skills. For most of the girls, it was the first time they ever played in a competitive rugby match. Yet, the team unity and chemistry allowed them to score a great victory in the first match of the day against Nassau’s B side. Nina Sanchez scored the first try for Freeport, dotting it down after a rumbling run inside the 22. With the game tied and less than a minute remaining, the team’s youngest player showed that age is truly just a number. Lined up on the wing, Janika Edey blazed around the corner and put on the burners to outrun one of the best sevens players in the Bahamas for a scintillating 70-yard try that put Freeport ahead for good. Edey’s speed was on full display all afternoon until she suffered an unfortunate collarbone injury. Even after losing their speedster, Freeport’s resiliency and fitness paid off with competitive showings against a college touring side and Nassau’s A team. Tara Kirkby and Olivia Cafferata showed off their pace with long tries of their own. Though the girls didn’t go home with any hardware, they enjoyed a valuable day of team bonding and on-field experience that will surely benefit the long-term development of the program. Freeport coaches Sarah Nicholls and Stephen Sheehan were extremely impressed with the girls’ attitudes and look forward to continuing to work with such a dedicated group of young athletes. The girls will continue training Monday evenings at the Freeport Rugby Club from 5:00-6:30 p.m. as well as Saturdays from 10:00-11:30 a.m. Anyone interested in learning the game and becoming part of the rapidly developing girls program is encouraged to join. 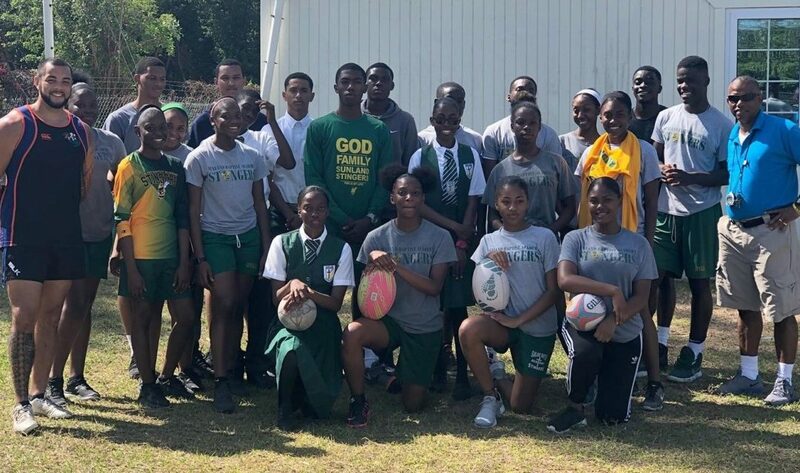 Freeport, Grand Bahama – With the popularity of rugby rising around the world, the Freeport Rugby Football Club (FRFC) is working to expand its own rugby program. 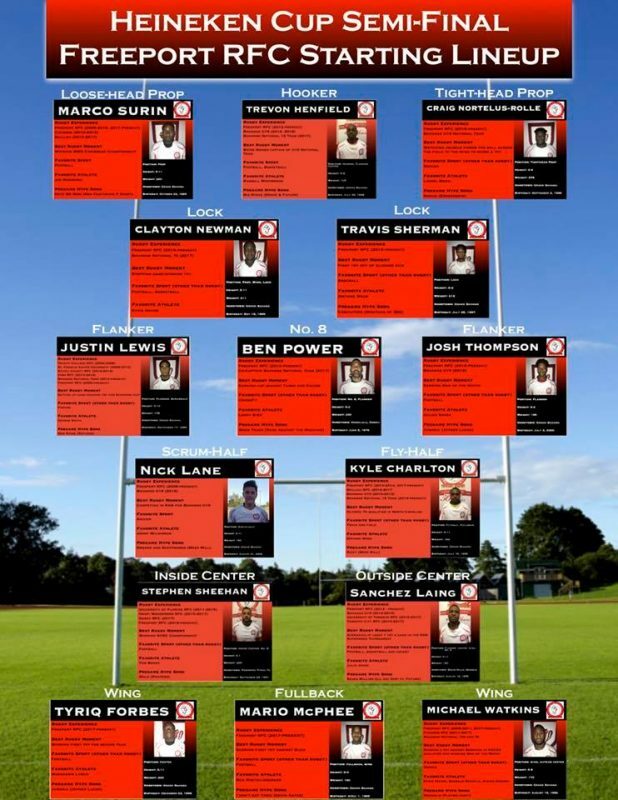 The success of its Saturday developmental league has created a surplus of players and so they have formed a full women’s and young girl’s rugby league too. Last month, Stephen Sheehan joined the club as their Youth Development Officer. Sheehan, a Florida native, played four years of collegiate rugby at the University of Florida. He is a former team captain and second-team All SEC selection for the Gators, with a Bachelor’s degree in journalism and a Master’s degree in sports management. 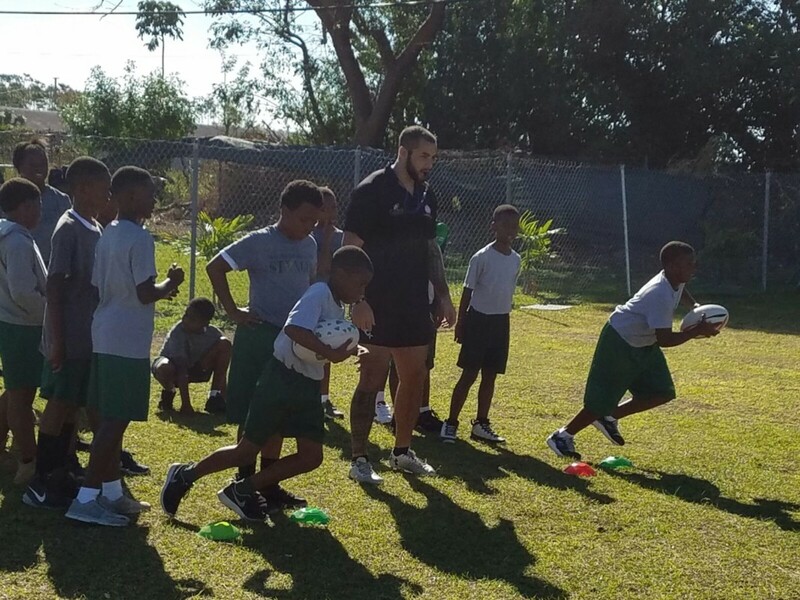 After graduating, Stephen returned home to South Florida and began coaching football and working as a high school teacher while continuing his playing career with the Okapi Wanderers RFC based in Weston, where he also served as club captain. 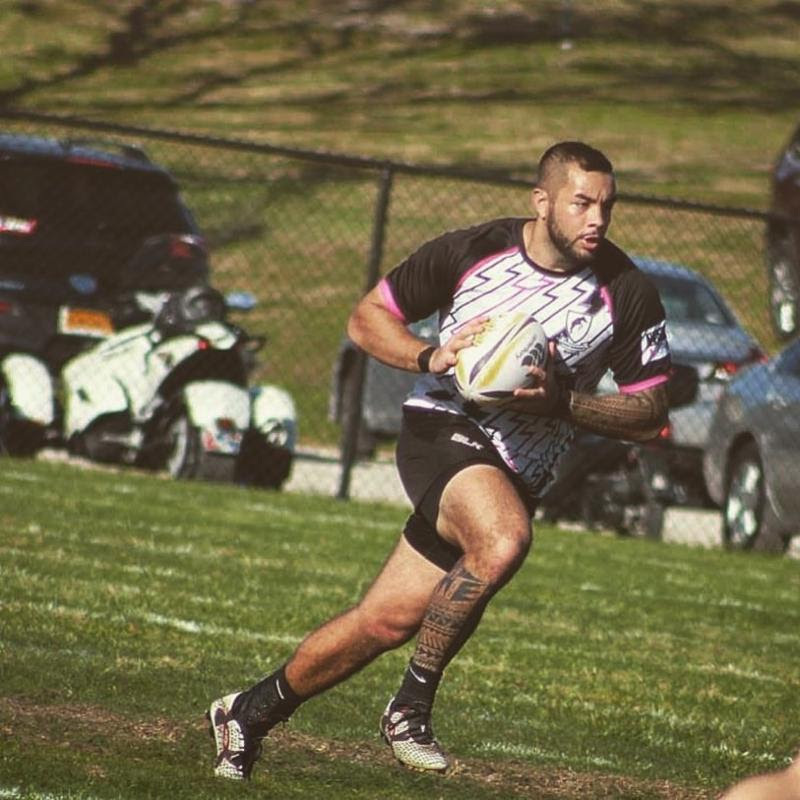 Seeking more rugby experience as a coach and player, he spent three months in Gorey, Ireland before making his way to Freeport, Bahamas. With an extensive background in both teaching and coaching, Sheehan’s ability to connect with youth of all ages and demographics made him the ideal candidate for the YDO position. 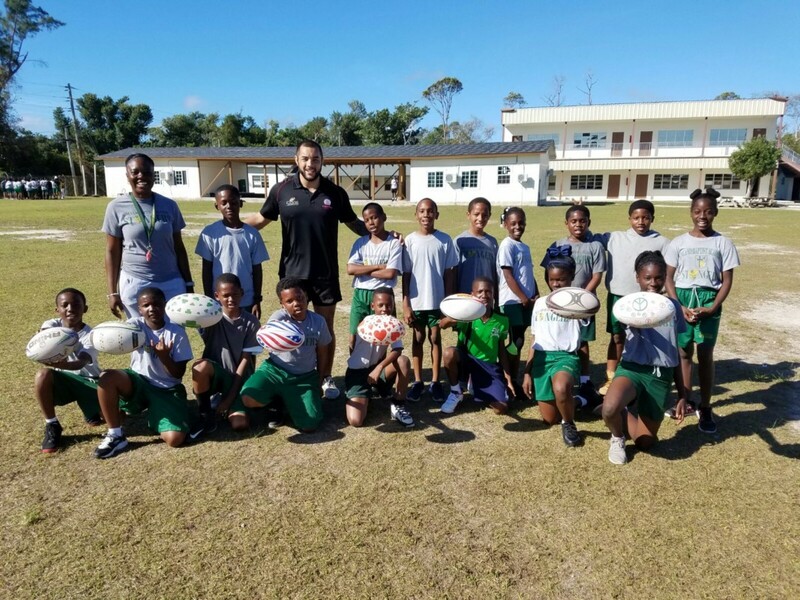 His primary role is to foster relationships with the schools on the island and recruit children about the emerging sport of rugby. He will also head coaching activities on Saturdays at the club, located next to the YMCA. Not just a rugby club, the second “F” in its name stands for ‘football’ aka soccer. The club also has a burgeoning youth soccer program that Coach Sheehan will also promote with the eventual goal of creating a competitive league. Another asset for FRFC is Sheehan’s journalism degree, which he is utilizing to improve the club’s social media with Facebook, Instagram and Twitter to build a strong brand within the community. Besides recruiting athletes for the rugby and soccer programs, Freeport RFC seeks to become a place for families and friends to come together to enjoy the social aspects of club membership. Whether you are interested in playing rugby, soccer or simply want to become involved with the club, interested persons can contact Sheehan via email at [email protected] or we encourage you to follow them on Facebook, on Instagram (FreeportRugbyClub) and on Twitter (FreeportRFC). 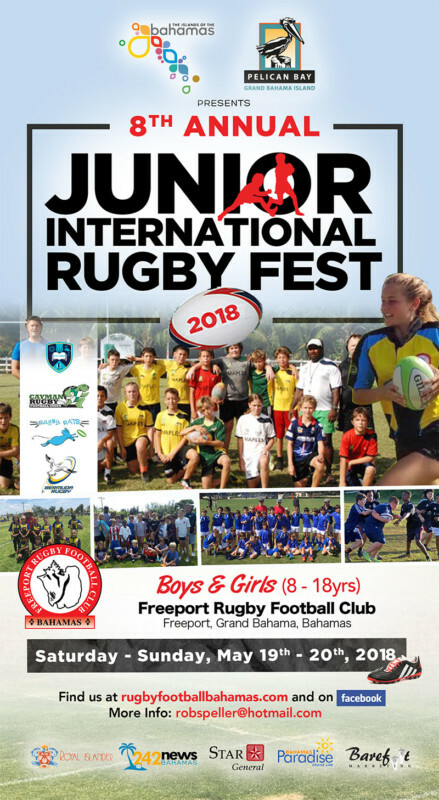 We’re just a few months away from hosting our eighth annual International Junior Rugby Festival. Teams from all over the world will be represented, and we’re still looking for more competition. Please contact Stephen Sheehan, our Youth Development Officer, if interested in becoming a part of this World Rugby-sanctioned event.